Singapore: The Smart Little Red Dot. Problem: Use technology to allow commercial buildings to grow vegetables to overcome its resource constraints to become the world’s first Smart Nation. 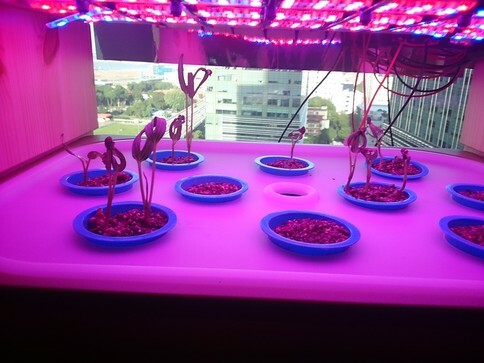 Singapore University of Technology and Design (SUTD) students created a solution called CorpCrops, which uses a combination of software and sensors to create a vegetable planter which can automatically control the temperature, light setting and nutrients required to grow greens in offices. Smart Nation Program Office (SNPO). Government funding to receive funds for the technology, services, data analytics and other tools for initial program to set up. Carry out the project for short-term nine to twelve months phase plan given location by SNPO. Analyze test results and feedbacks. Carry out the project to other locations and expand the project with private sectors throughout Singapore. Wonderful example of the intersection of science and technology with the overarching goal of social good. Singapore is way ahead of the curve here. I can imagine other locations following this example and switching out ornamental plants for mini farms. Though here in NYC (and other large cities) it might be a tough sell. Personally, I would not ingest any vegetables grown in a street planter at, say, Broadway and 116th!